During my 3 month stint in Florence earlier this year I had the pleasure to meet some extraordinary local artists and artisans. Apart from gaining some great new friends, I was thoroughly inspired to pursue an art journey of a difference in Tuscany. Stay tuned because we have some exciting programmes coming up in 2018 and 2019 with inspiring teachers from around the world. We’ll be offering painting and drawing courses and exploring the seldom discussed, but exciting contemporary art scene and hidden treasures of this area. We’ll be welcomed into studios of outstanding local artists, we'll explore sculpture parks, museums and beautiful sites for both architectural and landscape drawing. There will be time to relax in the countryside, explore prized vineyards in the Chianti and Brunello regions, eat and cook delicious produce, pick olives and walk some quiet ancient cypress lined roads and drink up the beauty of this region and beyond. It is Italy! A few more images from Florence and glimpses inside some local artists' studios. If you would love to bring out your artistic flair in one of the most picturesque and historical regions in Europe, let us know. Dates, Venues, Programme and Prices are coming soon. We are thrilled to announce that we have teamed up with Bruce McWhinney to offer a unique Arts of Japan tour next autumn. Bruce is an internationally acclaimed ceramic artist, painter and teacher. He has led numerous groups to Japan in the past and this one promises to be even better. The journey will be totally unique and take us to places off the tourist trail and into the art communities and cover both the outrageous contemporary, like Street Art Fashion and exquisite Zen and Traditional Art forms and Culture. We plan to head out next October and it will not only be the arts that will captivate our minds, the food will delight and the gardens will be showing off in spectacular colours. 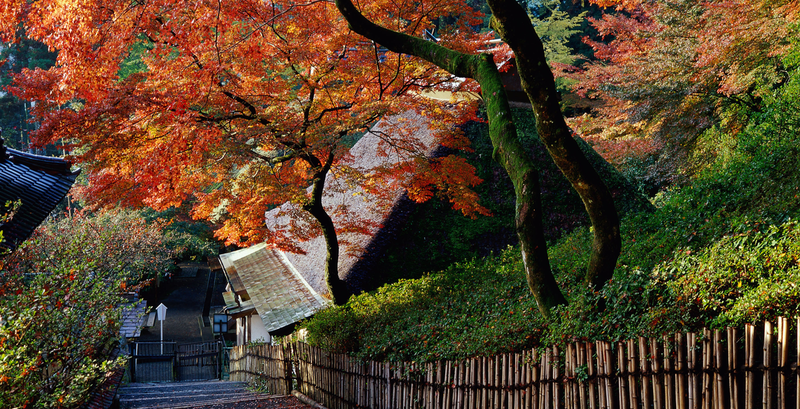 Autumn is a spectacular time to visit Japan. I hadn't picked up a paint brush many times since school but whenever I did the panic would start before the first layer of paint. I would stare at the canvas and think.. "I really hope this is going to work out". Pressure! Blocked by fear. Yuk, who wants that? Well if it does and you are not living in Portland OR. USA to be able to go to 'live' workshops with Flora Bowley then you owe it to yourself to experience Bloom True e-course. I have been lucky enough to have been with Flora in a 'live' workshop and I can tell you that looking around at the faces of those that were doing the course was 'heart opening'. She is delightful and we were all totally absorbed and having an absolute ball feeling the joy of letting go and being brave with paint. Unfortunately I didn't have the time to stay for the whole course with Flora because of prior arranged work commitments but I signed up for her e-course when I saw just how inspirational she is. I was far from disappointed in it being 'online' instead of 'live'. It is 'life changing' it does not stop at just painting techniques it is an inspiring lifestyle course. So much so I am signed up for next one too! The next e-course starts on the 26th January, 2015 will you join me?